To listen to our guests please download entire hour one or two to hear Bill’s guests during that hour. You may also click on the guest image to access the full hour including their interview. Thank you for visiting our archives! Bruce Kauffmann -Trump vs Madison and the Road To The GOP Nomination. Bruce is an awarding-winning syndicated columnist, historian, author and speaker. Dr. Louise Stanger – Falling Up: A Memoir of Renewal. Stanger is a professor, clinician, trainer, and lecturer and author of the new book, Falling Up. James Hirsen – Manipulating Trump Voters Will Backfire explains New York Times best-selling author, commentator, media analyst and law professor. Megan Barth – Trump Scores, Kasich Wins & Rubio Is Out. Barth, is the Founder and Proprietor of ReaganBaby.com, and a nationally recognized political commentator and women’s advocate. Ed Pozzuoli – Super Tuesday In The Rear View Mirror. Pozzuoli is the president of Florida-based law firm Tripp Scott and was the co-chairman of Jeb Bush for Governor. Christopher Harris – Riots and Protests At Trump Rallies – Who Is Orchestrating These? BLM? Soros? Harris, Executive Director of Unhyphenated America explains. 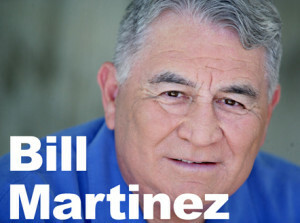 OPEN LINE with Bill Martinez… LIVE!